escape the pain of her past. She continues her career of illusion after her mentor's death, intent on burying her true identity. But when a rival performer's act goes tragically wrong, the newly formed FBI calls on Wren to speak the truth—and reveal her real name to the world. She transfers her skills for misdirection from the stage to the back halls of vaudeville, as she finds herself the unlikely partner in the FBI's investigation. All the while Houdini's words echo in her mind: Whatever occurs, the crowd must believe it's what you meant to happen. She knows that if anyone digs too deep, secrets long kept hidden may find their way to the surface—and shatter her carefully controlled world. 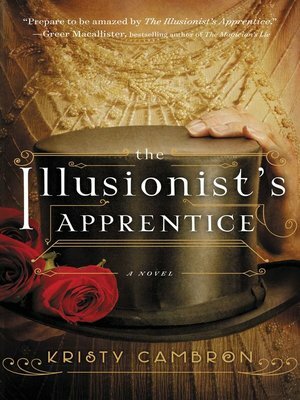 Set during one of the richest, most vibrant eras in American history, this Jazz Age novel of illusion, suspense, and forgotten pasts is perfect for fans of The Magician's Lie, challenging all to find the underpinnings of faith on their own life's stage.